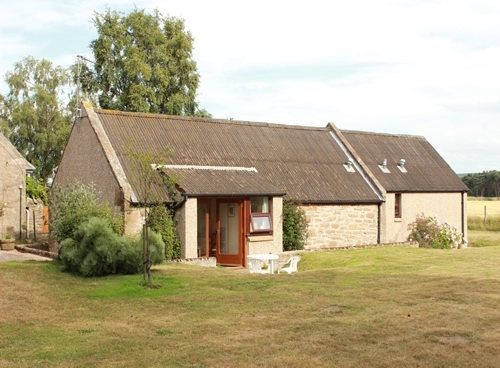 These two eye-catching single storey cottages have been created from an old steading and are situated in 1/2 acre of lawns. 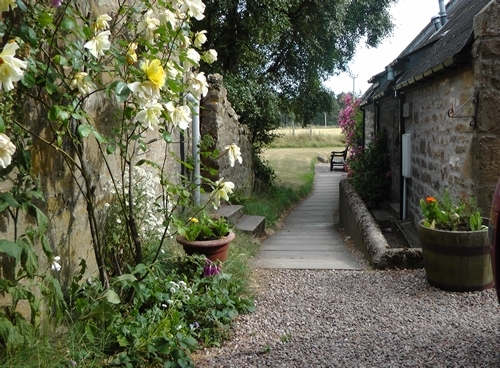 There are wonderful views over the Laigh of Moray and the cottages share a large lawn garden with patio and garden furniture, adjacent to the owner's holiday home. There are many National Trust properties in the area, ancient fishing villages along the coast and the famous Whisky Trail. Inverness is just over an hour away. This one level property offers ONE bedroom: 1 double bedroom. Shower room. Open plan Lounge/kitchen/diner: with TV and countryside views. Kitchen area: with electric oven, fridge/freezer and microwave. Outside: Private west-facing patio garden with patio doors from lounge.